The pieces were cut from a beech board with an electric jigsaw. 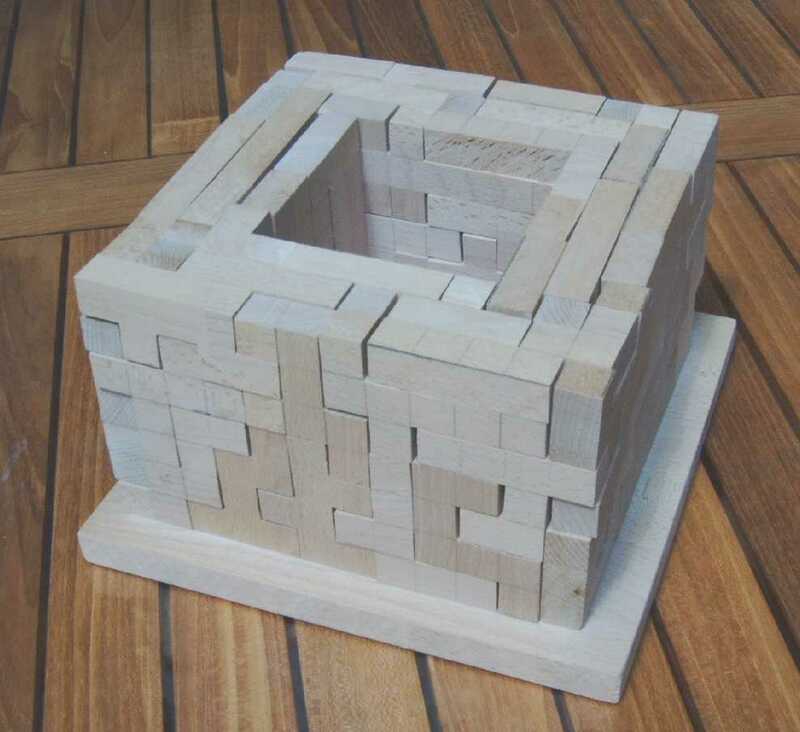 The cube size is 18 mm and the whole construction is about 22cm x 22cm x 13cm. Some more constructions with the solid heptominoes are on the heptomino section of my site.